Blog writer Emma Howard dismisses the negative media portrayal of developing countries and examines the positive effects of microfinance projects on thousands of lives. Emma is a Communications Assistant at Lend With Care, a microloans site working with CARE International. For a negative story about aid, you don’t have to look far. The media is quick to cover piracy, corruption and misplaced money. This encourages – and misleads – the public to accept that development fosters dependency, lacks accountability and wastes money. But many positive stories are there, and rarely given the coverage they warrant. One story almost unheard of in the public sphere is that of microfinance. Microfinance provides the poor with financial services: from savings to loans, to insurance. Financial security may not seem like the most acute of needs for those living in poverty, but it is essential to achieving self-sufficiency and therefore also the ultimate objective of development work: ending the need to provide it at all. Development is a means to an end, not an end in itself. The story of microfinance is already changing minds. There is evidence for this at the microloans site lendwithcare.org. Launched in 2010 and supported by the Co-operative, lending rates are rising rapidly – by 74% in the past six months. It is the first major UK site of its kind to harness the expertise of one of the world’s biggest international development organisations, CARE International. Yet microfinance is not an invention of the 21st century. The concept, as we understand it today, was pioneered by Muhammed Yunus in the 1970s. An economist in Bangladesh, he founded the Grameen Bank to provide financial services to those too poor or disadvantaged to have the collateral traditionally required for access to such services. The community development bank was created to tackle the exploitation of such people by moneylenders and encourage opportunities for self-employment. Yunus was awarded the Nobel Peace Prize for his work in 2006. 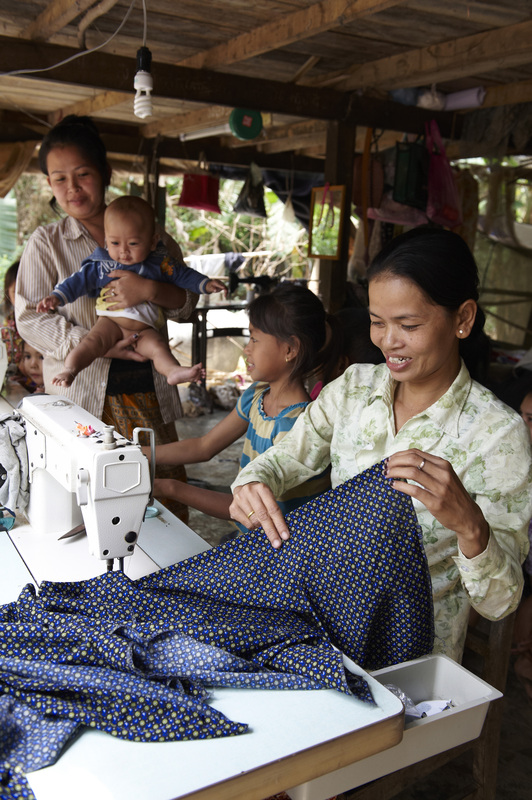 CARE International has been quick to take up successful and innovative microfinance programmes. Last year CARE’s economic development programmes helped more than 17 million people, mostly women, gain access to credit, acquire skills to start or expand a business and improve their income. Visitors to lendwithcare.org can choose an individual entrepreneur and lend to their business – anything from an internet café to a fish farm. This is poverty alleviation delivered not through donations to a cause, but through small loans (from £15) to an individual; 100% of the money lent goes to an individual and is then repaid, normally within six to twelve months. The initiative directly combats the negative public perception of development. According to recent research by DFID, 53% of the British public surveyed believe that ‘most aid is wasted.’ This is not an accurate reflection of the work development agencies do; at CARE for example, 94p out of every £1 goes towards poverty fighting programmes, one of the highest rates among UK aid agencies. Of course, microfinance does not provide a perfect solution to global poverty. A single unifying response to such a complex issue would be neither responsible nor possible. Poverty appears in many guises and within numerous fluctuating contexts. Sometimes direct aid is a complete imperative: a literal lifeline and thus the only humanitarian response to emergencies such as the current crisis in the Sahel. Very occasionally, businesses do default and the lender will not be repaid; within the microfinance sector the success rate currently stands at about 96%. At lendwithcare.org, this risk is easily minimised: a lender can spread their investments across multiple businesses and need only risk £15 on any one business. No entrepreneurs funded thus far through lendwithcare have defaulted. But microfinance is not only changing minds – it is changing lives. 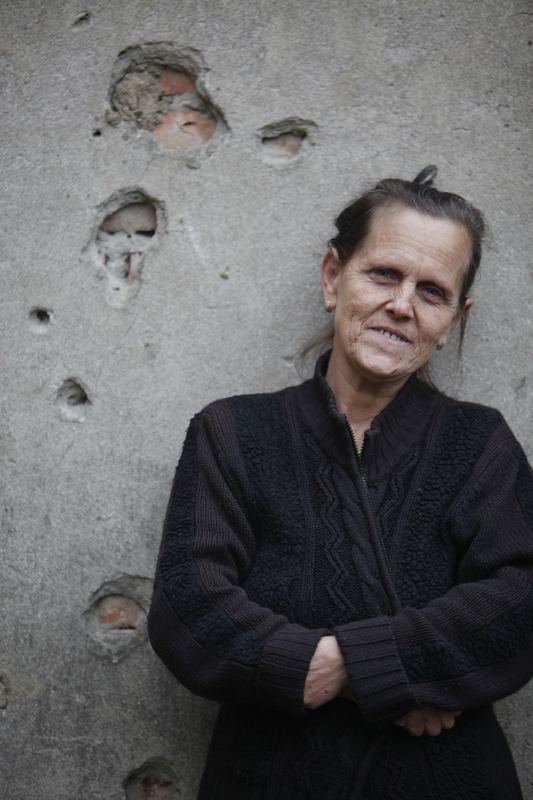 Take Nermina Smajlovic, a woman from Bosnia & Herzegovina. Her husband was killed in the Srebrenica massacre in1995, but microloans are helping her to develop a business selling the vegetables she grows. Now the sole breadwinner, the growing business is enabling her to provide for her sons and to rebuild their life through their own means. As businesses grow, the services, economy and employment they provide mean that the benefits are ploughed back into the community. In Cambodia, farmer Sokun Luch plans to use the profits from this year’s harvest to purchase a boat to ferry schoolchildren to the local school. In Togo, Afatsawo Galessodsi responded to a medical infection spreading through his village caused by an iodine deficiency, by launching a business selling iodised salt. Microfinance becomes a narrative of growth. As the business grows so does the independence of the entrepreneur, their family and community. As a result, individuals and no longer require the kind of assistance provided by a development agency – leaving the agency free to spend its resources on others. Micro finance is really good for the poor people. They can start their business with the help of micro finance.